Players line up in a single line and everyone has a ball except the first player. 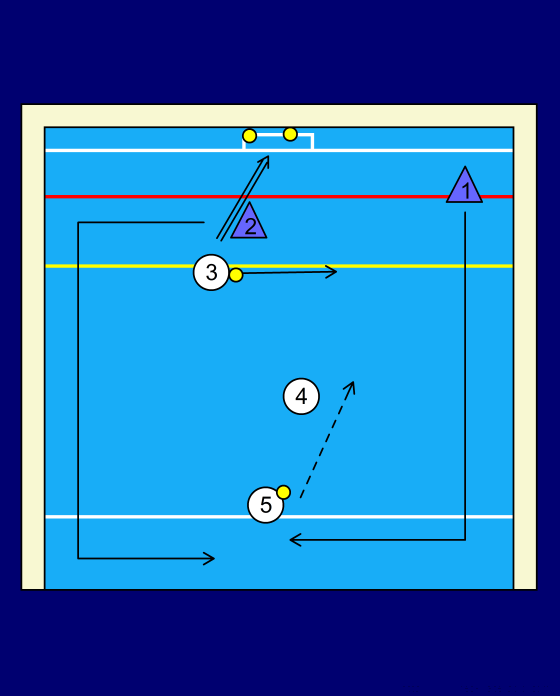 The first player drives down to a shooting position (between 4-7 M and inside the posts) and receives a pass from the next player in line. 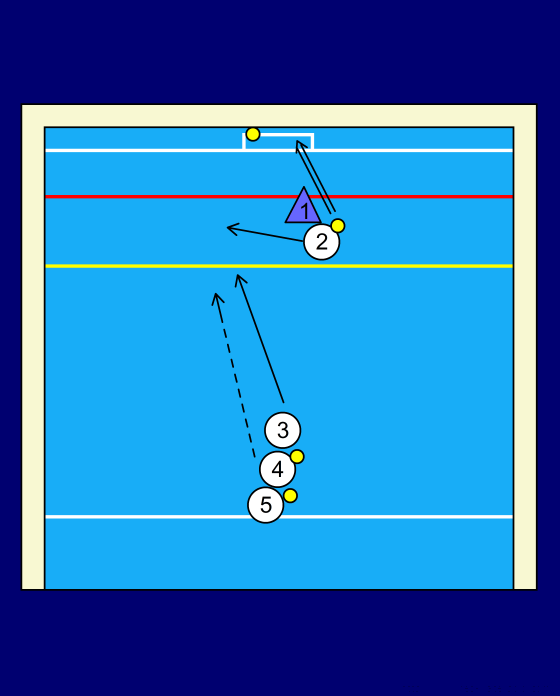 Player 1 shoots the ball and immediately becomes defense for the next player (2) in line who has driven someplace between 4-7 M between the posts. 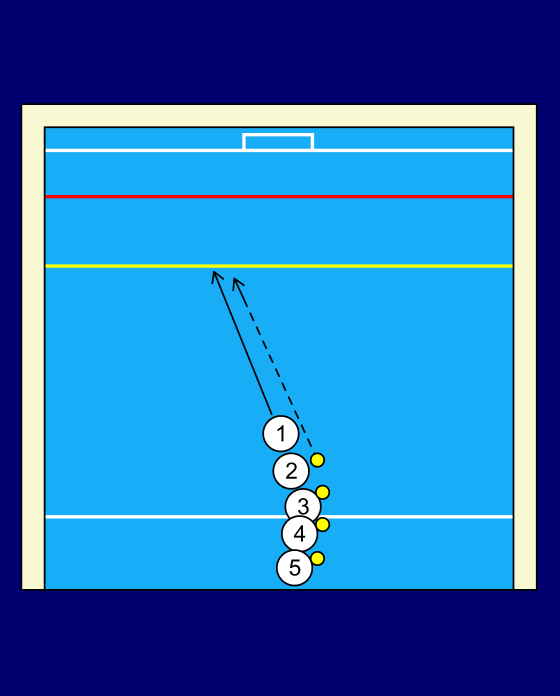 Player 2 receives a pass from the next player in line. After 2 receives the pass he immediately becomes defense on 3. Player 1 has left the play and goes to the back of the line. The person driving has the option of driving as close to the net as possible knowing that the defense will get closer or can stay back for an outside shot knowing the defense can block. The keys are the offense driving to the open spot and making a trade off decision about getting close to the net vs. getting closer to the moving defender.